A cylindrical Bluetooth speaker that responds to voice commands, the Amazon Echo is a cool, unique device that music lovers are swooning over. Considering purchasing one of these awesome gizmos? We have the exclusive product details! With the ability to connect to virtually any device as well as tap into streaming services via Bluetooth, this speaker also has TuneIn Radio, Amazon Prime Music, iHeartRadio, and Pandora functionality. In other words, rather than having to fiddle with and connecting the speaker to a computer or cell phone, you can simply give a shout to Alexa who will then find and play the song or album of your request. To take it a step further, if you don’t have a particular song or artist in mind, you can simply request a particular genre or even something to set a particular mood and Alexa will come through once again. The speaker can also be used to make things such as shopping and to-do lists, you can also check the weather and even the traffic. Furthermore, those who are members of Amazon Prime can even order products sold on Amazon! It can also keep track of sports scores, locate businesses, find out Bitcoin prices, and much more. 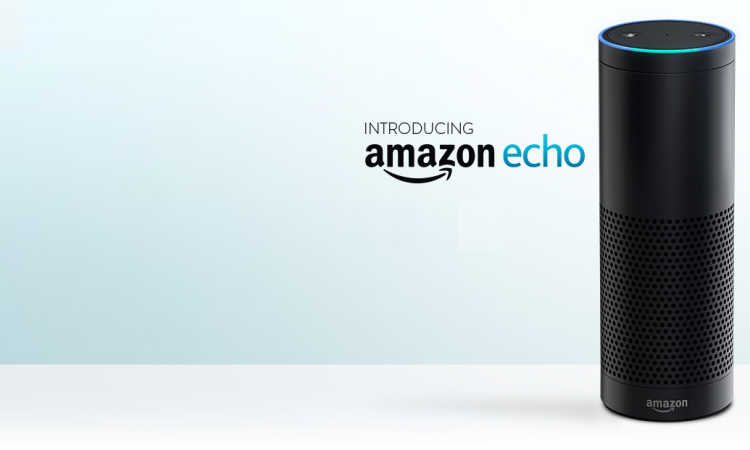 An overall great device with some cool capabilities, the Amazon Echo is being sold for $180. Is it worth the price? If you get one, let us know!